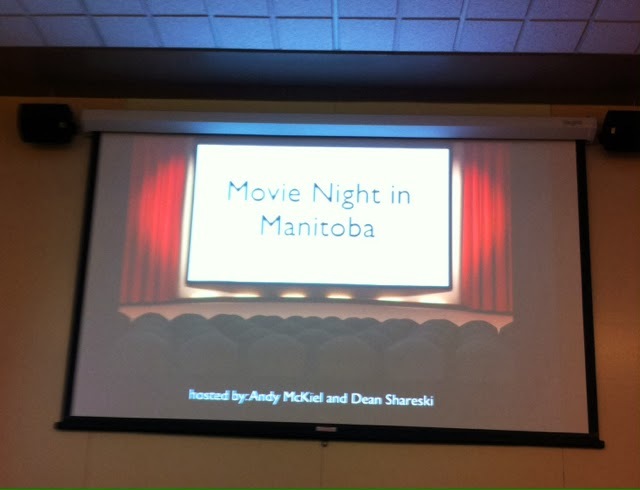 On Thursday, Nov 28, I attended an event put on by Andy McKiel (@amckiel) and Dean Shareski (@shareski) in Winnipeg. I used the occasion to attend to have a bit of fun and to also visit a few friends and my advisor. 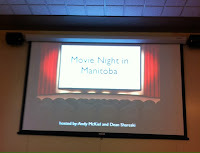 I have made much use of video in my previous career as a high school teacher, I co-designed and co-taught a course on video production and was involved in an amazing project that involved all of our grade 12 students in writing, acting, producing and premiering (to the entire community) a movie. This was one among other projects that helped my school earn mention in Maclean's and on the Apple web site. I think I will describe the project in another part to this post sometime. 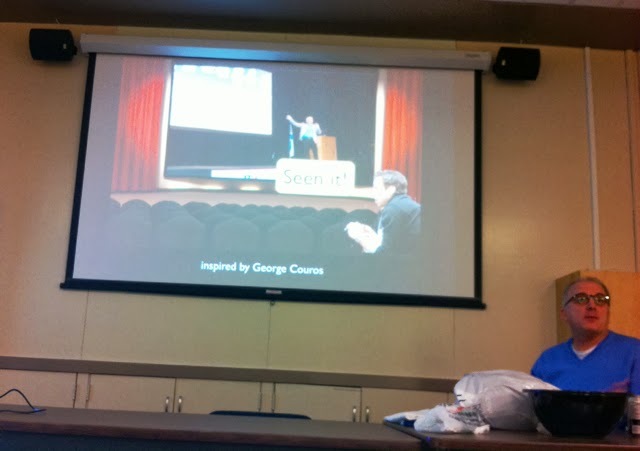 I also have and continue to use video in many forms in my teaching. I believe it to be a powerful medium to tell a story or share learning, addressing many of the senses & our emotions. Dean and Andy's evening was an enjoyable evening & an interesting, interactive presentation that got the audience involved - not to mention the cool ('er warm) Discovery Ed toque I was given. I had a few reasons to attend - first and foremost was the company of fellow educators. I make a conscious effort to maintain connections with educators involved in public schools (and in ed tech). I don't want to become one of those dreaded teacher educators who is out of touch with schools. The session was also timely in that I only just finished a section of my ICT in Education course about digital storytelling - and using video in particular. It was fun to think about how I might use the videos if I was still teaching high school vs how I would (will) use them in my teaching now. The format of the evening was also an idea I will probably borrow. The videos were presented in pairs representing a theme, such as 'courage'. We then used polleverywhere to vote on which we would be able to use in our classroom. At the end, we picked our top three vids. In between much great discussion was had. One of the top 3 (I think it was number 1 overall) was 'The Time We Have' embedded below.Overall an enjoyable evening. The vids Andy & Dean chose are on this google doc: http://shareski.ca/y/3fg . On my google site I use to support my courses, I have this page of resources related to video.